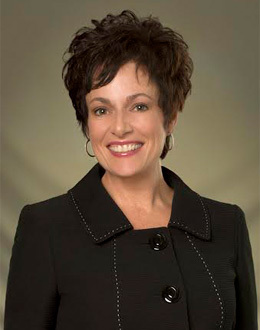 Julia Runyan is committed to providing her clients with the finest personal service and professional representation. She takes great care in serving each client with individual attention, enthusiasm, and insightful awareness into the critical details of the Greater South Puget Sound real estate market. In helping her clients to find their dream home, sell their special residence or make a strategic investment, Julia ensures each client is provided with the expertise that meets their personal objectives. Through her comprehensive knowledge and experience as a specialist in Residential Real Estate, New Construction, Multi-Family properties, and Land Acquisition, you may trust in Julia's expertise and accurate assessment. Regardless of the time and effort it takes, Julia is dedicated to providing her clients with a truly impressive real estate experience. As the Broker/Owner of RE/MAX Exclusive, Julia's diligent, honest and forthright guidance lies at the heart of her personal service to her clients. She strives to cultivate the team of brokers within her office with the highest degree of genuine care and dedication in serving the community in a professional manner. In representing her clients with a high level of personalized service, Julia spends the time and energy to cover every angle in researching and providing her clients with the critical information needed to make thoughtful and informed decisions. When consulting with Julia, sellers benefit from the resourceful marketing strategies she utilizes that effectively presents their property to the marketplace. On behalf of the seller, she takes every measure to maximize buyer appeal and the selling price potential of the property. When working with buyers, Julia carefully takes the time and attention to evaluate and prioritize her client's goals so that she may skilfully find a home that meets their budget and lifestyle requirements. Her buyers benefit from her keen ability to see value and potential in a property and trust in her vision. Julia's clients enjoy her personal touches and find that her warm and friendly personality is very present in everything she does on their behalf. Service, Integrity and Gratitude are the three principles that she clearly exhibits in every transaction. She always strives to negotiate the best terms for her clients and when met with a tough challenge, she is very creative, strategic and skillful in working through the issues. Through Julia's genuine concern for her clients and the valued relationships developed with them, she is truly motivated to continually provide them with the finest personal service and professional representation. Julia is a highly dedicated professional who through her informed and insightful expertise assures that all of her clients' goals are achieved. Julia further distinguishes herself with the following designation: A Graduate of the Real Estate Institute (GRI), Certified Sales Professional (CSP), Accredited Buyer Agent (ABR), Internet e-Pro and a Certified Luxury Home Marketing Specialist (CLHMS). Contact Julia to serve you and your personal real estate interest. This video introduces Julia, describes her talents and showcases her outstanding service to her clients.